But that’s not the only chatter surrounding the superstar that has the Internet buzzing — several outlets have reported that Jackson is expecting her first child. Jackson, who turns 50 on May 16, has not confirmed the reports or even addressed them. CNN has reached out to reps for the singer. In April, Jackson announced she was halting the second leg of her “Unbreakable” world tour for the second time as she and her husband worked on a family. 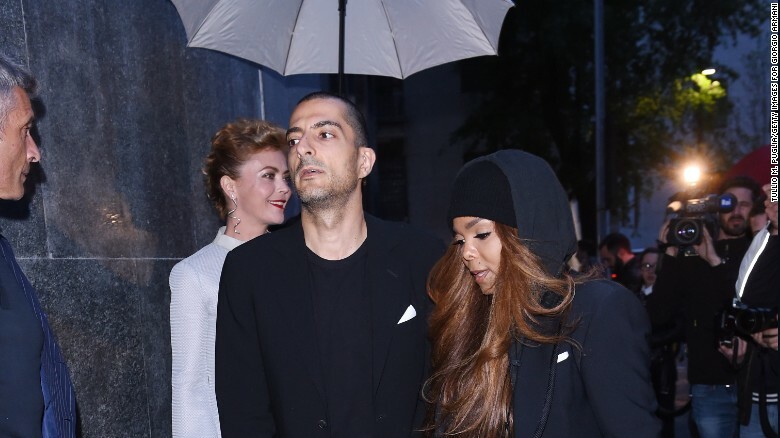 Jackson quietly married Qatari billionaire Wissam Al Mana in 2012 and the couple has been intensely private about their relationship. In late December, Jackson attributed a tour delay to her need to recover from an unspecified surgery. Talk swirled then that she was suffering from cancer, but she quickly shot those rumors down. Speculation about a possible medical condition was once again rampant when Jackson postponed her tour the second time, especially as she appeared to be lying down in the video when she announced that she and her husband were planning a family.